Gujarat Lions Team Kit 2017 officially launched. 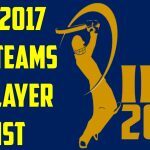 IPL 2017 Gujarat Lions Team kit 2017 official jersey & logo. 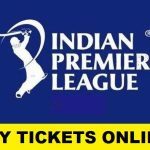 The rates and prices of Gujarat Lions Team kit to buy online. 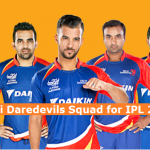 Take a look on the newly launched by one of the dangerous IPL seasons. The team which is captained by Sureish Raina will be on the field wearing the new eye catching and attractive kit & jersey in the 10th season of Indian Premier League. 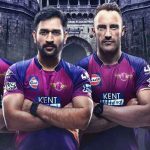 Officials of Gujarat Lions have publicly launched and revealed their team kit for IPL 2017. Gujarat Lions new team kit for Indian Premier League 2017 is one of the most eye catching and attractive team kits in the fantasy T20 cricket league which acquires a combination of dark orange and blue color. According to the newly launched team kit, there are not some major changes that are made by the designers. 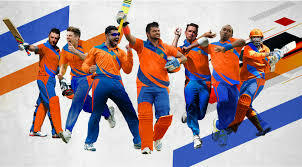 As you can see the images, that the shirt from new IPL Gujarat Lions team kit is having the design that contains orange and blue color. 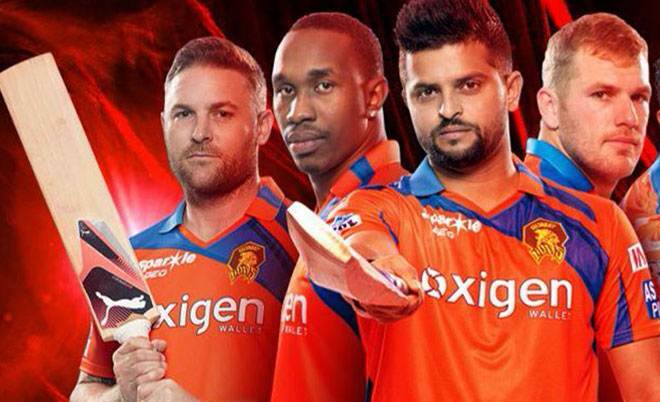 Right side of the shirt acquires logo of it’s manufacturer, while the right side contains logo of Gujarat Lions logo. Centre front side below to the chest has the logo “Oxigen” of it’s sponsors. The blue colored stripes are spreading from top shoulders to the left corner by just near to the chest part. 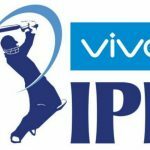 This is going to be the 2nd season of Indian Premier League for the Gujarat Lions team as they started their journey of IPL back in 2016, but the players of this team have played too many seasons of T20 Ipl. 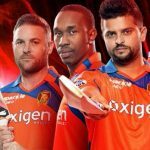 Suresh Raina, the multi-talented player will be captain of Gujarat, while Aaron Finhch, Brendon McCullum and Darren Bravo are the few big names associated with Gujarat Lions.